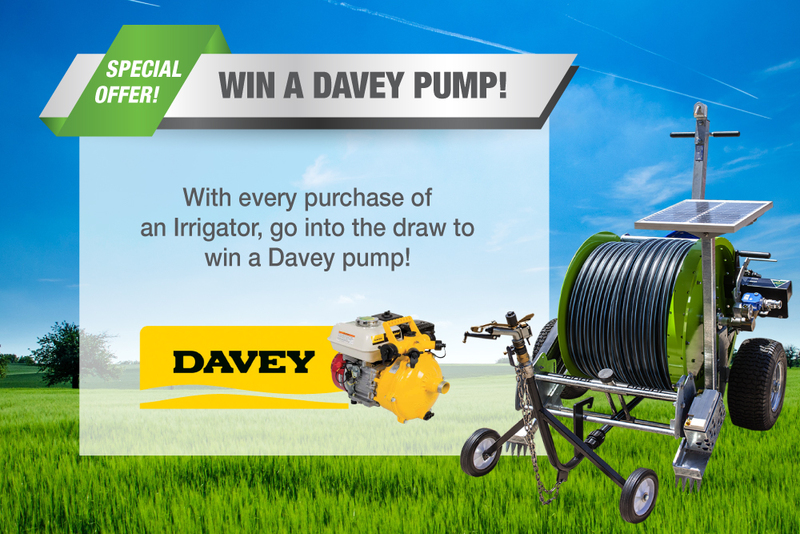 If you purchase our GPI-100 Award Winning Solar Powered Travelling Irrigator, you will go into the draw to win a Davey Pump worth over $700! With smart technology you can set the duration of the rewind, providing an automatic shut-off when the job is done saving you time to work on other things. The irrigator can operate using water pressure as low as 20psi. Using this technology, you’ll never need a power point again and there is no complicated hose management. For over 80 years, Davey has been manufacturing water products that help protect and enhance people’s lives. Traditionally servicing domestic pumping, water treatment, swimming pools and spa markets, Davey has in recent years expanded its focus and product portfolio to include commercial pumping, irrigation and commercial pool markets making them one of the most respected pump manufacturers in Australia. This offer ends 31st March, the Winner will be announced on Social Media. Goodluck!